Treat your special guests to a show that they will talk about for a long time to come! Trevor presents a 45 minute stand up platform show. (or a shorter show if required, to fit in with your needs) It is a very upmarket, clean-cut performance with comedy and audience participation being an integral part of the show. This can be done at any time but we usually find that it works very well when done after the main course. Then after the show, desert can be served and the program runs very smoothly. As always, we will be pleased to discuss the details and dynamics of your event and give you our recommendations. No two shows are exactly the same as we prepare the show according to your needs. 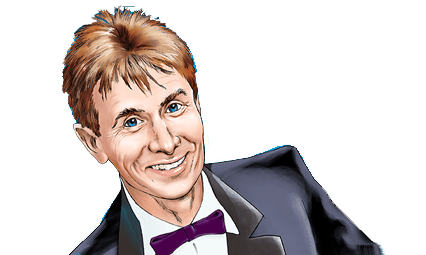 Whether he’s performing close-up magic or performing up in front of the audience, Trevor’s memorable magic intrigues and fascinates audiences wherever he goes. 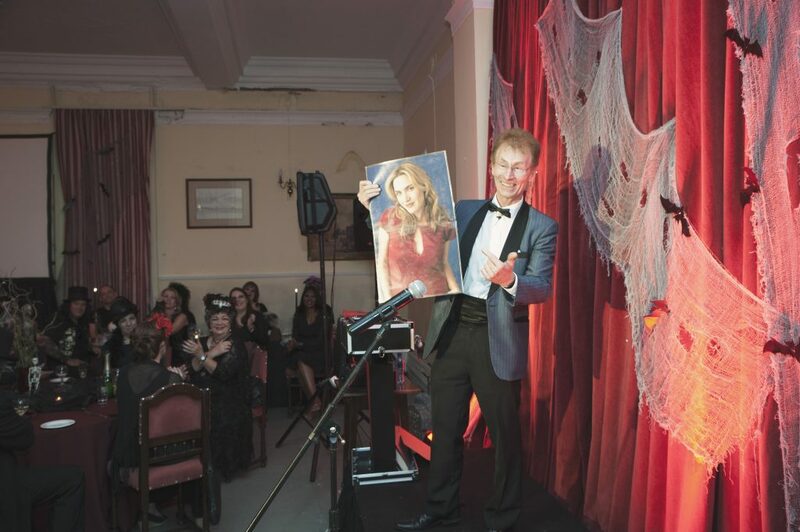 For Trevor, performing magic for entertainment is not just about ‘tricks’, but rather it is about connecting with people – touching people’s lives. 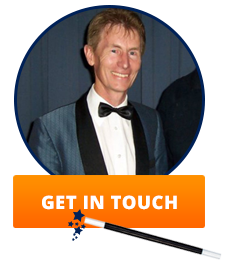 Trevor dresses impeccably, will custom tailor his performance to suit your special occasion and offer a service based on absolute reliability, integrity and the highest of standards. The memory that is left behind, is about how special your event was and like seeing an awesome movie, your guests will keep reliving in their minds, the magic that happened right up there in front of them. Every show has different dynamics and in this fast moving world, one never knows what people are going through in their lives. 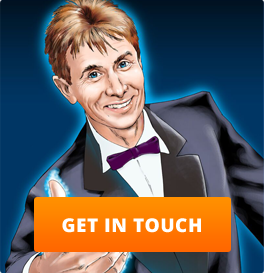 As a corporate magician, Trevor knows just how to establish rapport with the audience, being sensitive enough to their mood and finally leaving them with an experience that they will reminisce about for a long time – and actually want more!